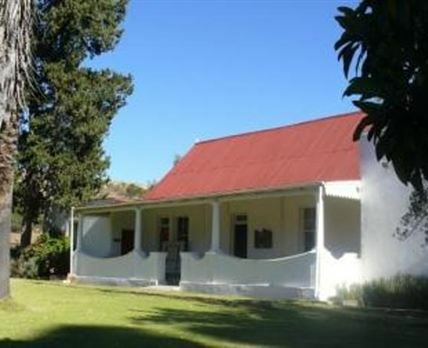 Mount Marlow Lodge is a stately homestead built in 1852, located on Mount Marlow Farm, just 60 km from Somerset East. The farm is situated in typical Karoo mountain veld in which sheep, goats and wildlife flourish. The roomy house boasts yellowwood floors and ceilings, and has a large balcony overlooking the large lawn. Mount Marlow Lodge offers spacious and comfortable self-catering accommodation in the historic farmhouse. Accommodation comprises two spacious en-suite rooms, as well as three large, comfortable rooms that share a bathroom. We offer bass fishing on the farm in the summer and other activities include horse riding, hiking, birding, boating, swimming, game drives, tennis, and mountain biking. Game viewing can also be done on the farm and species such as kudu, wildebeest, impala, and springbok can be seen. It is also a birder’s paradise with 150 species of bird on the farm including black eagle, martial eagle, gymnogene, goshawk, secretary bird, and blue crane. Click here to enquire at Mount Marlow Lodge.